Serena’s back at the Australian Open. Fingers crossed. 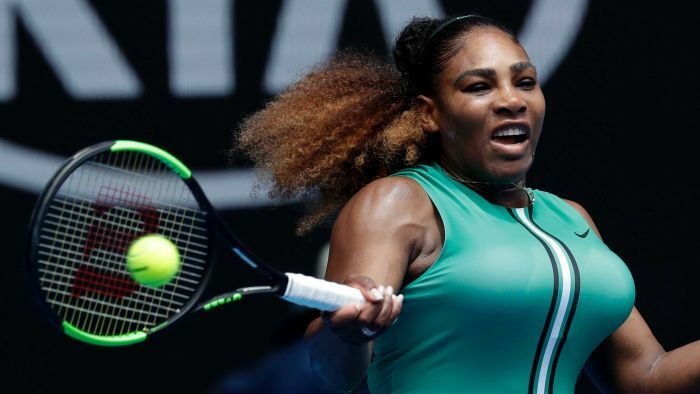 It has been two years since Serena Williams last played at the Australian Open, but the 23-time major singles champion made her presence felt with a commanding performance in the first round in Melbourne. I am a bad Canadian. Serena plays Eugenie Bouchard tomorrow and I’m totally cheering for the yank. Bouchard is rotten. Rotten human being. I don’t know much about Bouchard but it doesn’t matter. Serena mopped the floor with her. Serena just beat world #1 Simona Halep. She’s now in the quarters. What an awful draw for Halep. Serena lost. There goes my interest in tennis until the next major. Naomi Osaka won. She has now won the last 2 majors. She moved from 4th to 1st in the world. Quite likable, actually. She is not loved in Japan due to her mixed race. I should like her. I don’t, though. She is the main reason Serena may not beat Margaret Court. Djokovic won again. He crushed Nadal in the finals. 15 grand slams now for Djokovic. at 31, barring injury he should catch Federer’s 20. Nadal has 17. Considering, he might go down as the best of all time, it is remarkable how underrated he is. Perhaps, the most underrated athlete. One of the most underrated of all time. The way he’s playing, he might have 5 more by the end of 2020. Very true. He plays well in the heat. Did not lose a set the whole tournament. Lost 8 games in the finals. Won 18. Against the number 2 player in the world. Since 2011, Djokovic is 40-18 against Federer and Nadal. Nadal in his prime. That stat alone pretty much tells us who the best player in the world is. 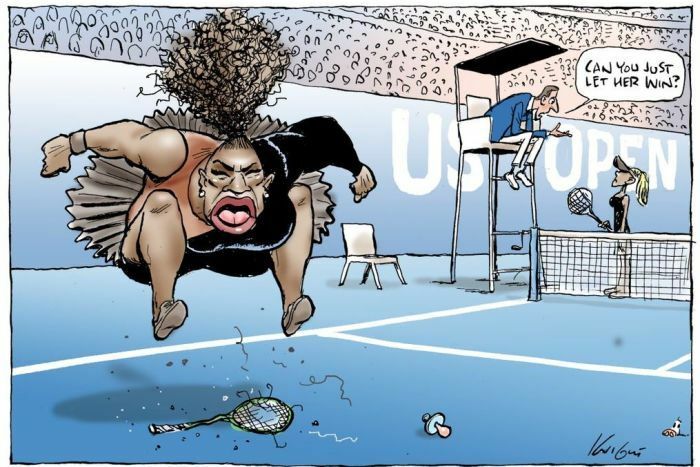 Racist cartoon found not racist by australian press. It’s definitely racist. That doesn’t mean it shouldn’t be allowed to be published. I haven’t read a newspaper in 20 years, but I would simply boycott the paper. Not a good look for Australia, considering everyone thinks they are racist. I guess if they admitted it was racist, they might have to do something.